There has been a lot of talk about UFC megastar Conor McGregor coming to WWE down the line. McGregor even fuelled the rumors with a recent Tweet. Bobby Lashley is certain that Conor McGregor is coming to WWE and even said so in an interview with Sky Sports. I thank No DQ for the following quote. Conor McGregor has been very vocal about his admiration of the old school pro wrestlers such as Ric Flair and Vince McMahon. He's very close to Becky Lynch and was supporting her all throughout to win the gold at WrestleMania. When Lynch won the gold, he even put up a congratulatory Tweet. Many have said that he would be ideal for WWE because of his trademark attitude. Bobby Lashley hails from the world of MMA as well and hence, Sky Sports asked him for his take. I think he wants to [join the WWE], he’s been talking a lot. 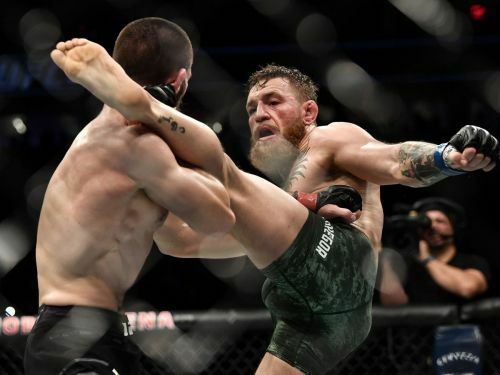 Conor is one of those guys that will shoot first and then shake hands later. He did it last year when he tried to call out the wrestlers. I think he’ll have a good opportunity to come over here and shake things up, run his mouth a little bit and bring some notoriety. I’d like to see him in. It would be cool. I think he wants to be here. If he wants to be here he might have to try and find a role. We’re not going to put a big title on him, he’s way too small. Will McGregor ever come to WWE? We'll have to wait and see. How well do you think he'll do in the non-scripted world of sports entertainment?